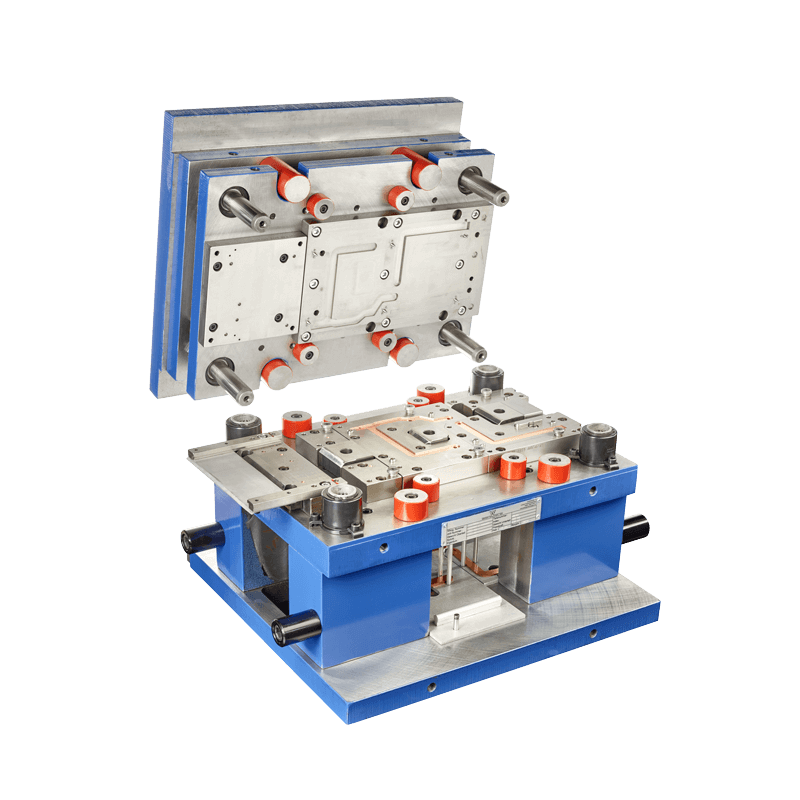 Stable strip connections, minimal use of material, long tool life and ease of maintenance are our major goals in the development and manufacture of follow-on composite tools. 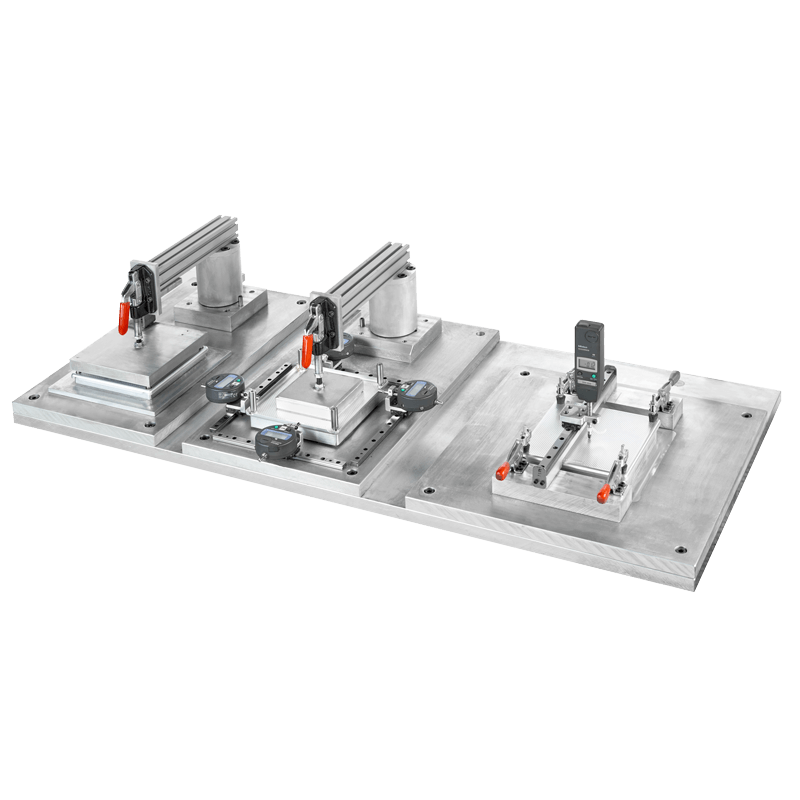 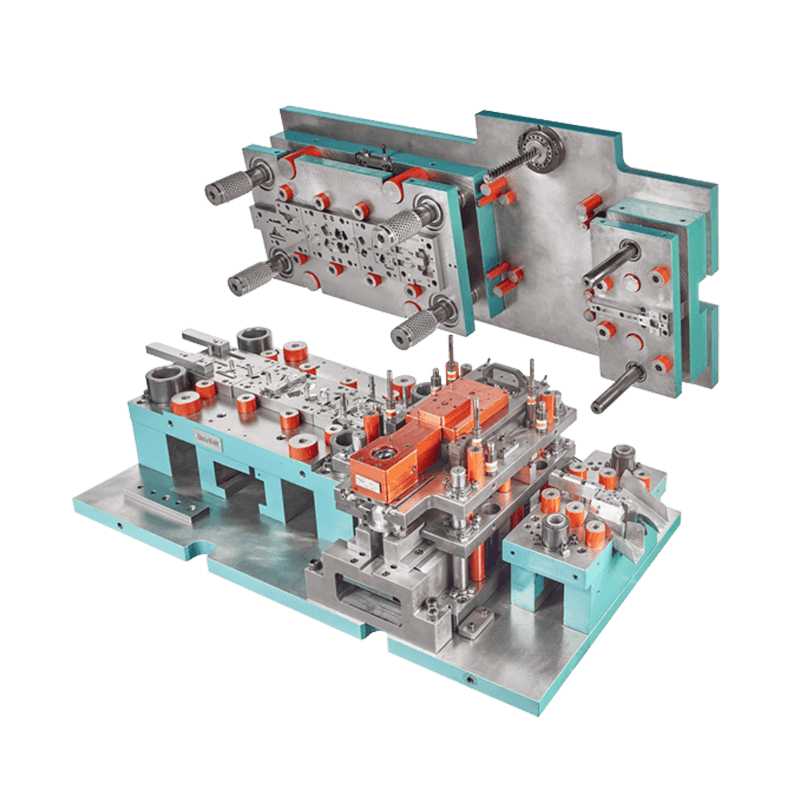 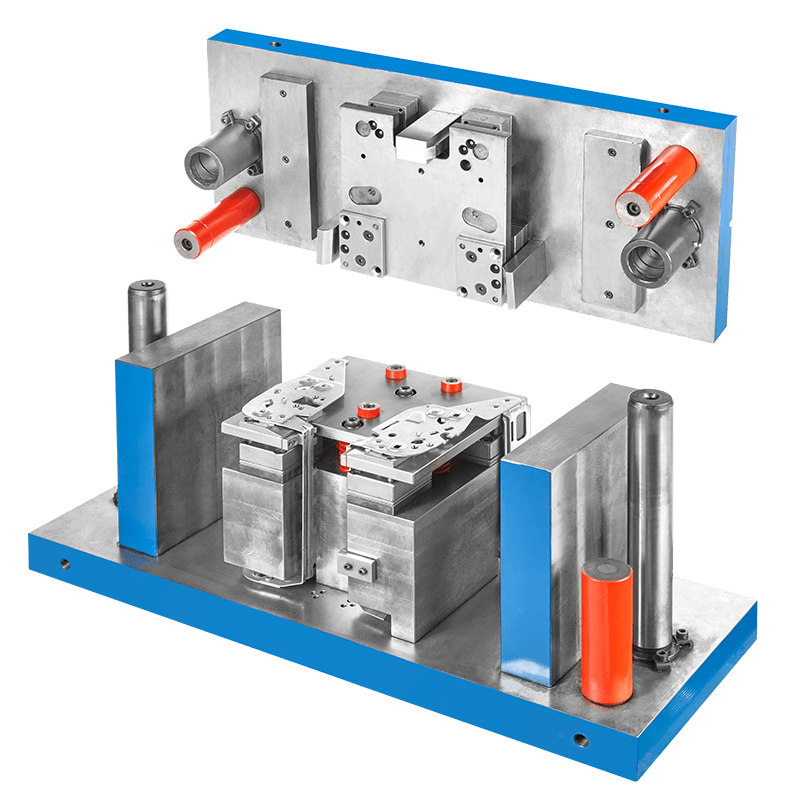 We customize these tools according to our customers’ needs to allow for an optimal and cost-efficient production. 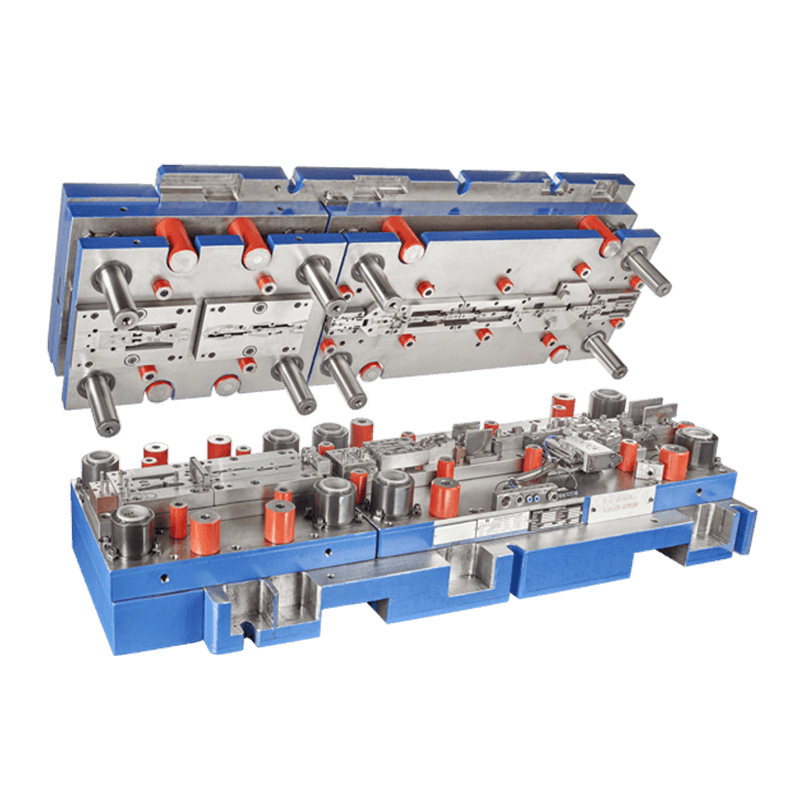 We make tool sets for your transfer presses, but we also offer special tools with integrated transfer. 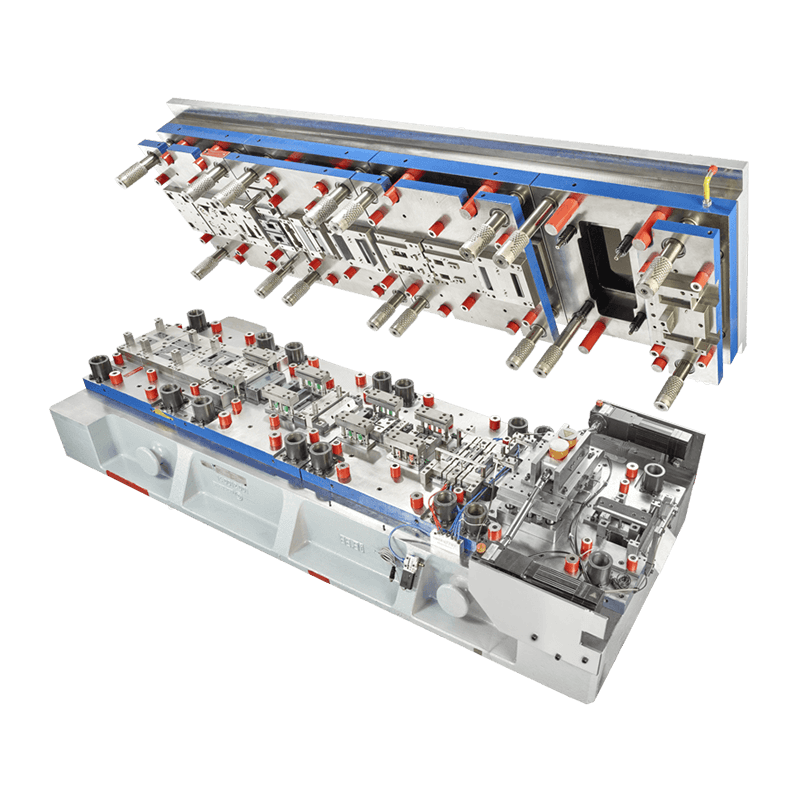 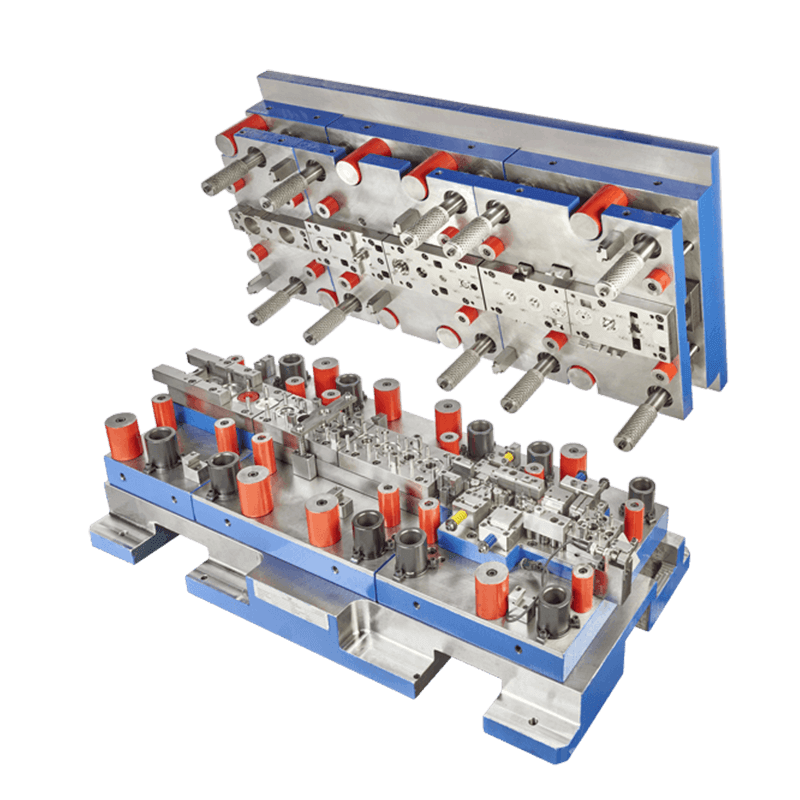 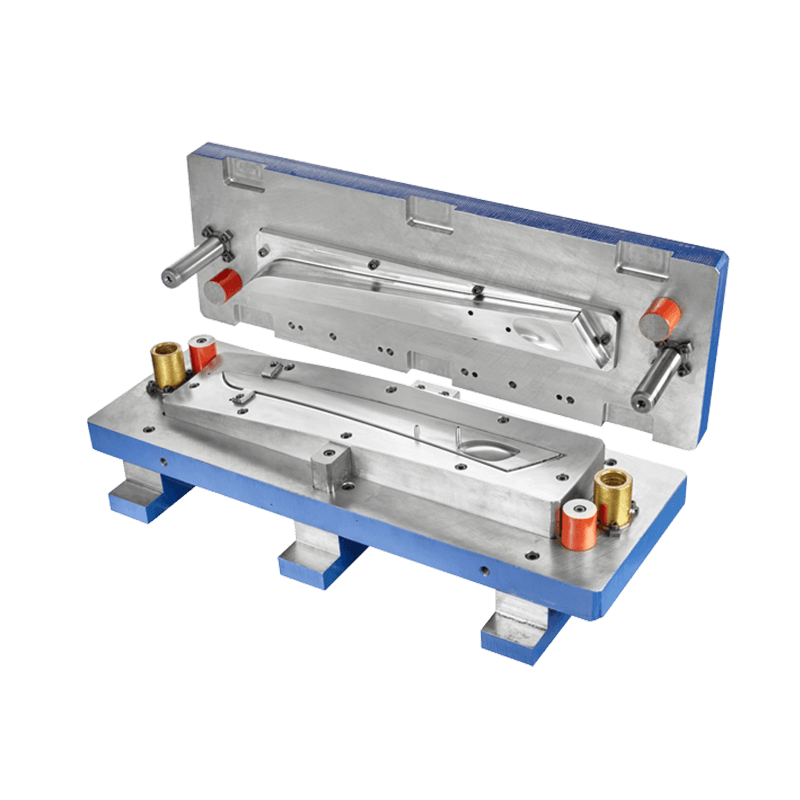 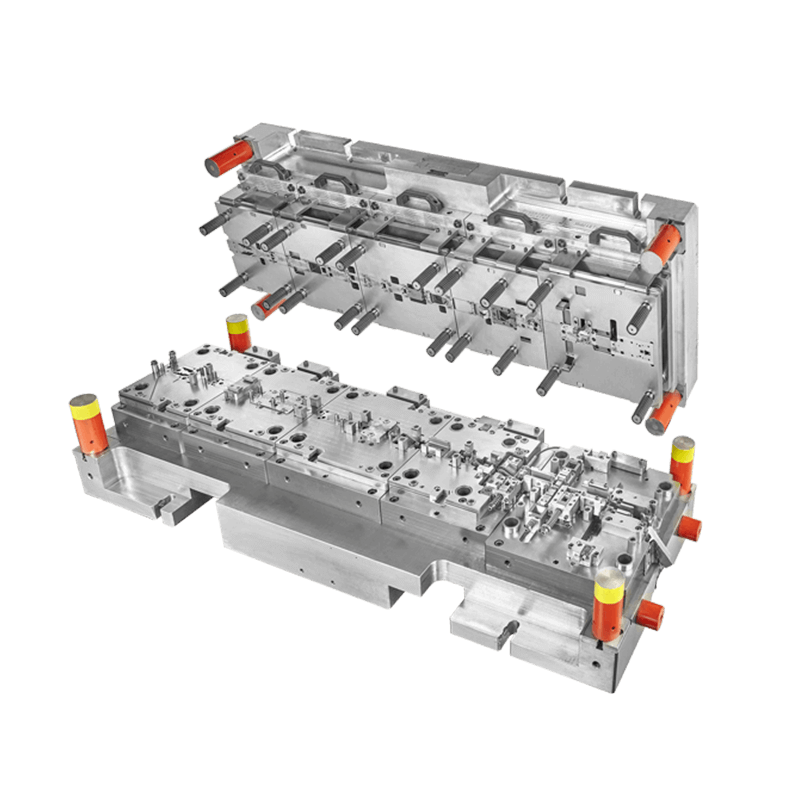 Cutting tools for blanks and bending tools (also with several insertion stations) are a cost-efficient alternative in small-scale production. 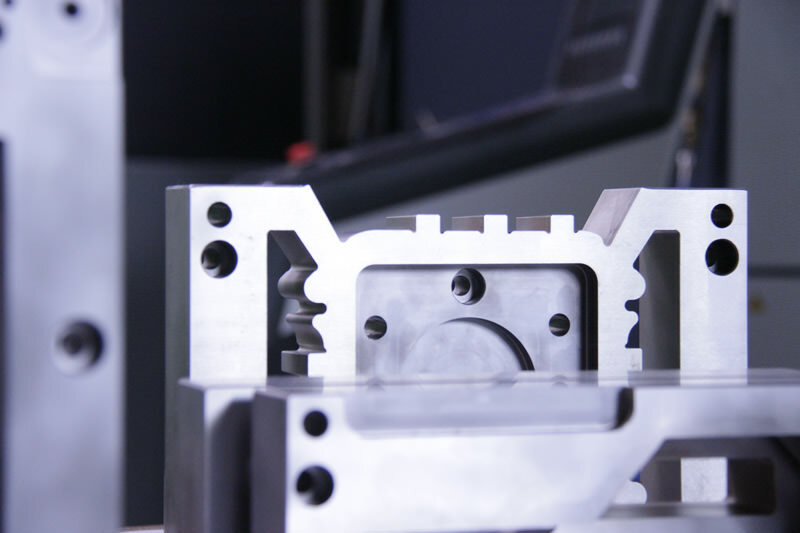 Flexible production allows us to make prototype tools within the shortest time and to manufacture samples. 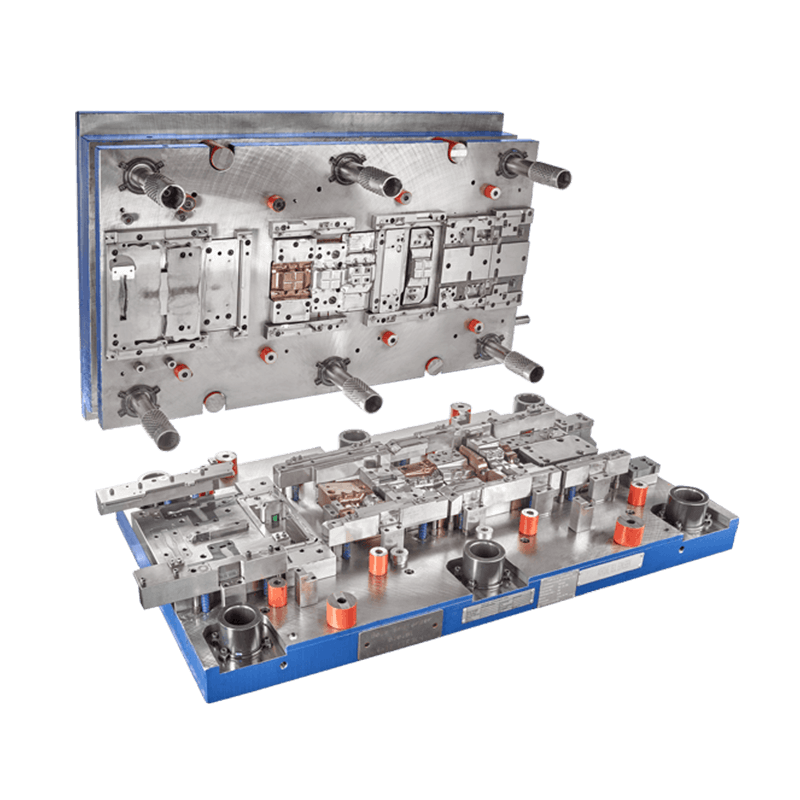 We put great emphasis on close-to-production methods to gain some insight for series production even at that early stage. 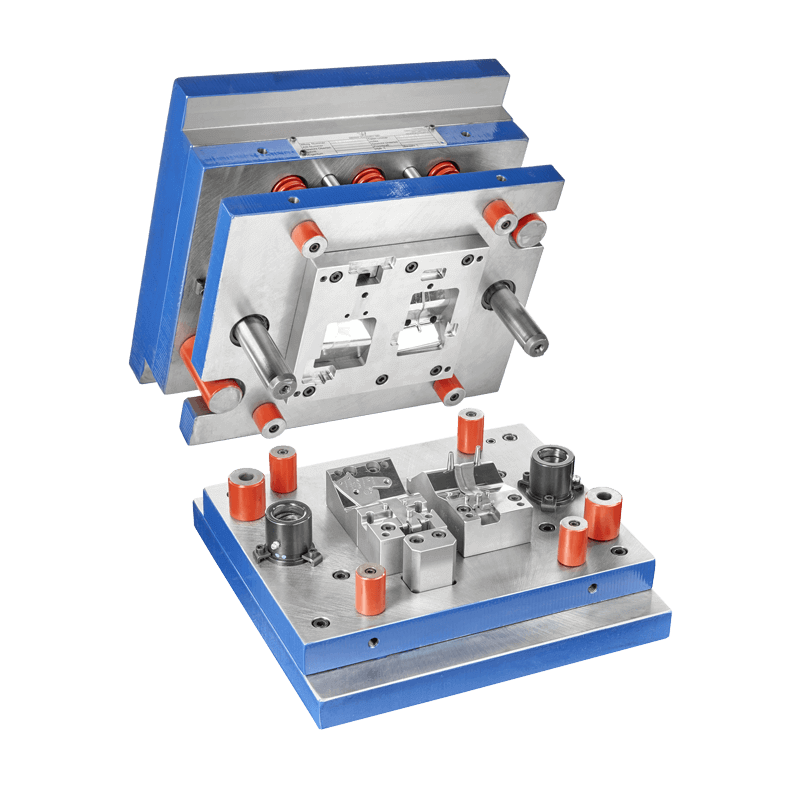 We construct and manufacture fixtures for joining components, welding fixtures and checking gauges.